The Muncie community came together for one night to celebrate the 85th anniversary of the Boys & Girls Club of Muncie. For the past 85 years Boys & Girls Clubs of Muncie, along with the help of many partners, has helped shape the lives of the youth in our city. The event was focused on the Club kids. Their favorite meal was served – breakfast for dinner. Entertainment was provided by a few of the new programs offered at the Club – dance, robotics, and music. 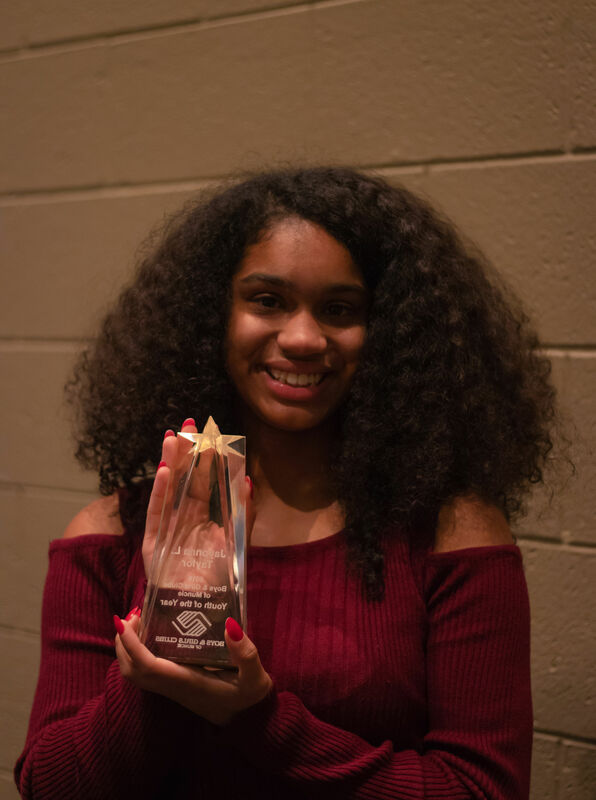 Jayonna Taylor received the 2019 Boys & Girls Clubs of Muncie Youth of the Year award. A Club member is selected to represent the organization based up on their commitment to upholding the Club’s values. Jayonna is a sophomore at Muncie Central High School with plans to become a pediatrician.. She is the president of the Boys & Girls Keystone Club, participates in the Ivy Tech Upward Bound program, and loves community service projects. “Jayonna loves the Clubs because they accept her for who she is, short comings and all, and holds her to high expectations. Jayonna credits the Clubs with her her ‘become a better person’, she was already an inspiration on her own,” says Boys and Girls Clubs of Muncie COO, Qiana Clemens. Awards were also given to individuals and organizations within the community that dedicate time, energy, and resources to bettering the lives of Muncie’s youth. Board Service Awards – For outstanding service to the Boys & Girls Clubs of Muncie: Angela Beck and Ross Swallow. Roy C. Buley Heritage Award – For contributions in the areas of education, race relations, social justice, human rights, and youth membership: Schools Within the Context of Community. Boys & Girls Club Legacy Award – For contributions to the betterment of youth in our community: Roza Selvey.